French: Sourciroux mélodieux; German: Rostbrauenvireo; Spanish: Alegrin de Cejas Rojizas. 5.5-6 in (14-15 cm). The body is relatively heavy, the head large, and the beak stout. The back is dark olive-green, the chest and flanks are yellow, the belly white, the top of the head gray, and a broad rufous stripe over the eye. 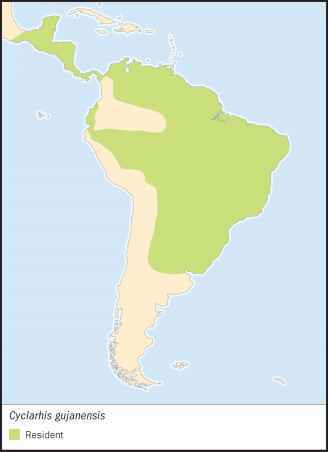 Widespread from southeastern Mexico to central Argentina, but missing from most of Amazonia. Dry and moist forest borders, scrub, and clearings with trees present, as high as about 6,600 ft (2,000 m). A nonmigratory species; defends a breeding territory. The song—a repeated, musical phrase—is given throughout the year. 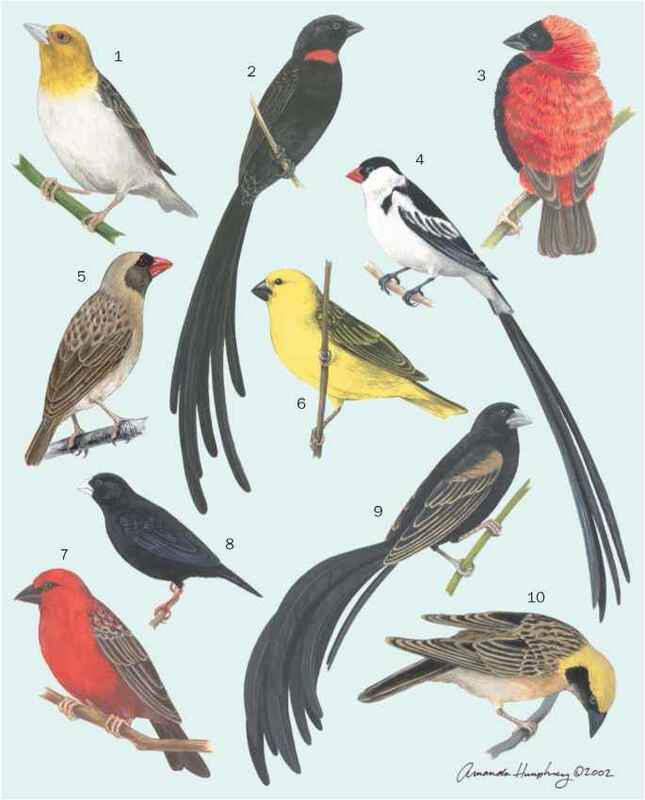 Individual birds have several song types, and there are regional dialects. Feeds on insects and other invertebrates gleaned from foliage, flowers, and limbs; also eats small fruits. Occurs in mixed-species foraging flocks. Pairs stay together throughout the year. Builds a cup-shaped nest that hangs from a forked tree branch. Both parents incubate the eggs and care for the young.